Pet Reconnect is making videos for YOUTUBE of all the lost and found animal and their photos and contact details from the site for wide media attention. Please visit our News page for further details - Go to our front page and see "CATS" 19/1/11. - click on the cat !!.. LOST IN WEST END: MOLLY. 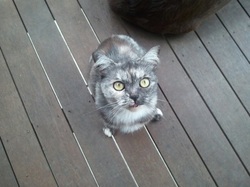 In the hurried move from our place at yeerongpilly to my aunty's house in west end, my lovely molly has run away. Like all of us, she is panicked and frightened. If anyone has any info please call me on 0400692108 or 38447956. I've lost my home and all of my things, please help me find my baby. 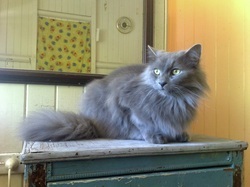 LOST in Toowoomba a male 2 yr old dark grey cat. His name is Marley and he is smaller than other cats his age. He was not wearing his collar at the time he went missing. A little worried with the floods as he loves water. He is a much loved family pet and he has weepy eyes from a flu. If found dead or alive we would like to know. Please contact Tanya Kelleher or leave a message with the kids on 07-46364129. LOST TORTISHELL CAT $250 REWARD. Female, small, half-cream face. More brindle than tortie. Could be anywhere between Bulimba and Birkdale. Much loved children's pet, our little girl cries for her every day. Ph 0406 265 312. 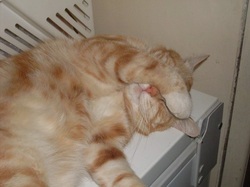 LOST: Male ginger cat around 3 years old, answers to Sammy. He disappeared from Barkell Street at Brassall, Ipswich on 12/01/11 and possibly heading to Leichhardt (our home) Please if anyone has any info please message me as he is dearly missed! He has spot white hair on the chess/neck his hair very thick and very big cat, he does not meaong, when he walk, his front right foot was a bit funny the way he walk. 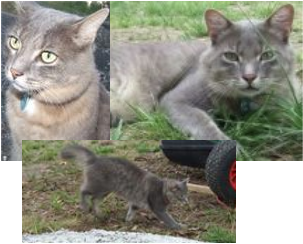 Louise Purcell Hi i have lost my cat he is a white and grey domestic short hair, lost in red hill on tuesday the 11th of january. he is desexed with a tattoo in his ear. Any info would be greatly appreciated contact details are 0448 487 242. This is my friends Manx Cat "Norton", she went missing during the Ipswich floods, near the Bremer River, Tuesday 11th January. If anyone may have seen her or maybe found her, please contact me by message asap! Much appreciated folks! MISSING CAT. Missing sometime between 1am and 9am yesterday. No idea how she's gotten out of our house, possibly fell or jumped from 2nd story window so she could be injured. 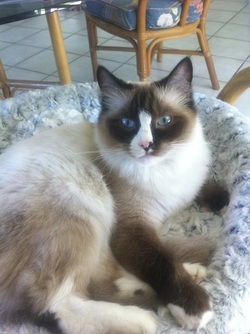 Went missing from Brockworth Street at the Preston Road end in Wynnum West. If you have seen her PLEASE call me on 0403275727. Extremely worried about her. Answers to the name Maliika or Leaky. 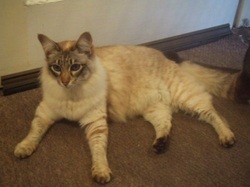 She is microchipped, but is registered to her previous owner Bridie Reid. 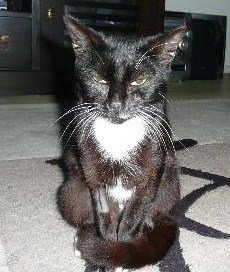 Please help me find Moses (9 yr old desexed male cat) lost from Prince Street Dinmore on Thurs 13/1/11. He has a black leather collar, bells & name tag with phone no. 3424 5491. Moses usually lives at Blackall Street Basin Pocket (Ipswich), but was temporarily relocated to avoid the flood. He is very stressed and coul...d be hard to catch. Please call me on 0413 273 491 or 3424 5491. Thanks. 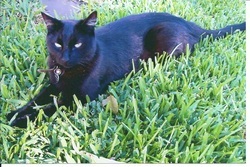 Missing from Elms Court, Southside, Gympie. 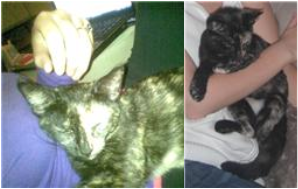 Peaches is a 4 year old short haired female cat lost in the Graceville/Sherwood area. She went missing after we had to move in with friends because our home was severely damaged. 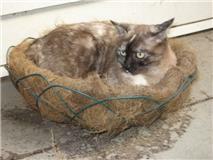 She has soft brown patches, yellow eyes and is very shy and timid. Miranda 0488 720 288. Many thanks for providing this site and service Miranda.